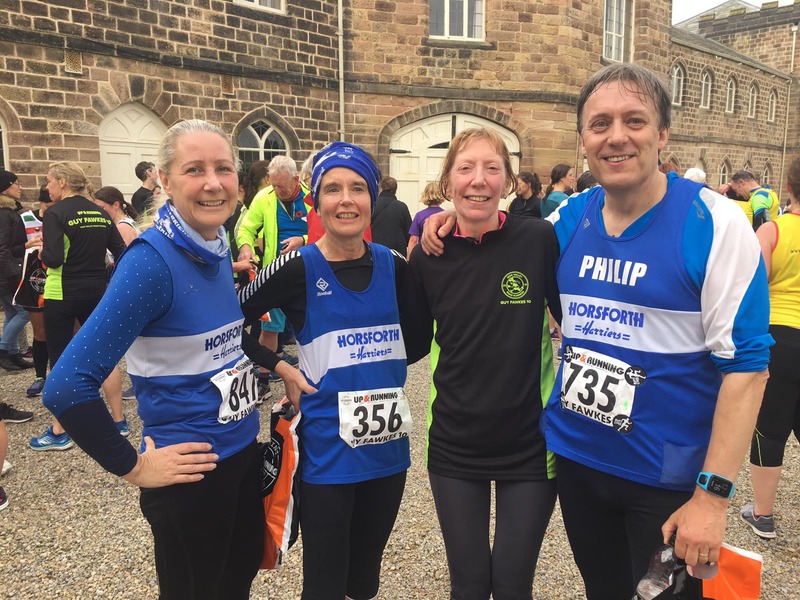 How long have you been a Horsforth Harrier? Thirteen and a half years. I joined the Harriers with my husband Philip early summer 2005, however we did not go to our first training session until the September. At the back of my mind, I was worried that there would just be all serious and fast runners. I could not have been more wrong. The club was so welcoming. I ran in Hilary’s group. Everyone was so friendly and encouraging. By the end of that first run I was shattered and absolutely hooked. 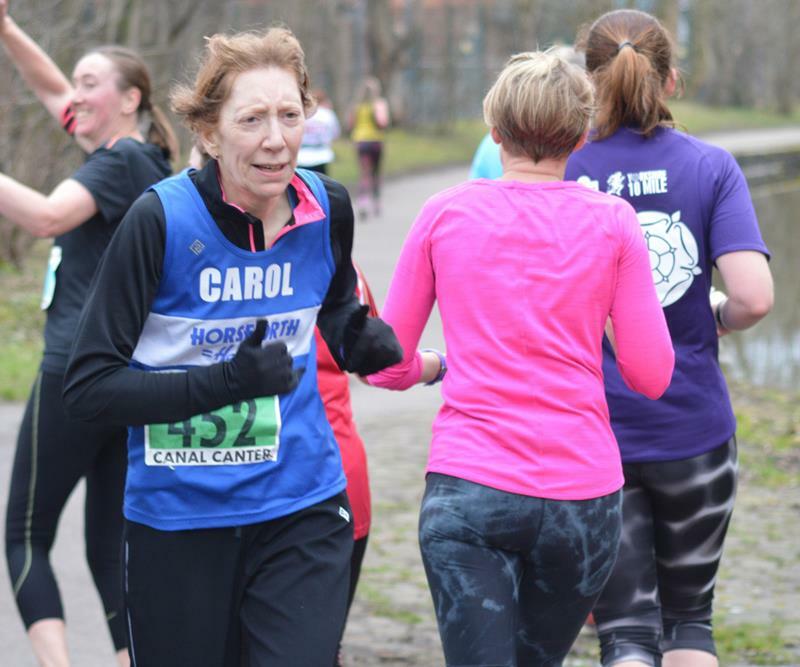 So began my running career at the grand old age of 47. Which training group/s do you normally run with? I had an 18 month spell when I was unable to run with the club due to injury. I came back to Hillary’s group in the Summer of 2017, progressing to Deb’s and then to Helen’s. It was lovely to be back with old friends, and to meet so many new people who have joined the club. 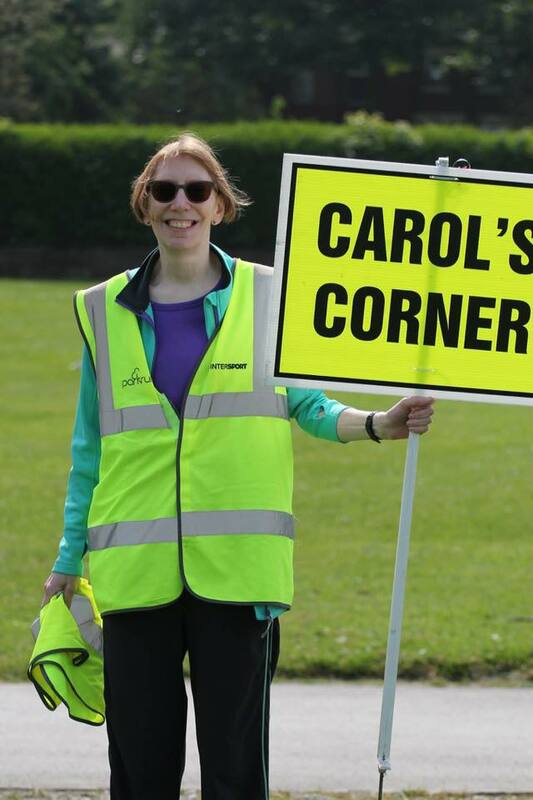 Whilst I could not run, I started volunteering at parkruns. I found it made me feel that I was still part of the running community. I can frequently be found marshaling at Bramley parkrun. What are your running goals for the year ahead? Unfortunately, I broke my arm in January so my goals for this year have changed slightly. I was given the go ahead to start running again at the beginning of March. My first goal is to just enjoy being able to run again. My second goal is to ensure that I come back slowly and listen to my body, I do not want to risk getting a running injury. My third goal to build up the distance I can run so that I will be able to come to back to the club starting in Hil’s group. My fourth goal is to be able to run the 10k Cookridge Community run on Sunday 19th May. This race is in memory of Gareth Dunn, the son of a very dear friend of mine, who raised £100,000 for cancer research before he died last year aged 27. What is the PB you are most proud of? 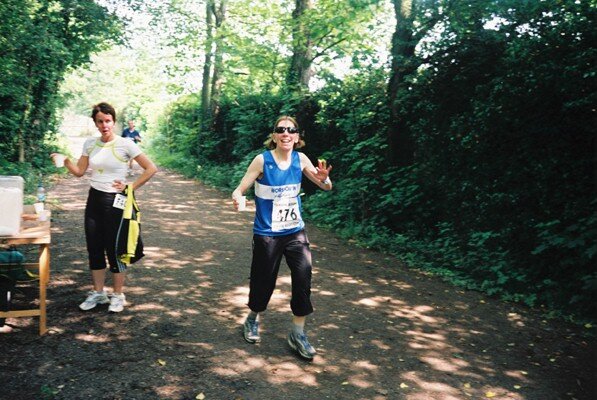 My 10k PB of 47:35 at Barnsley on 16 November 2008. I have absolutely no idea where that time came from. I know I was running well, but everything must have come together. I have only ever run 5 10K’s under 50 minutes and the other 4 were all be 49 something. My fastest ever 5k is 24:07, which means at least half of my Barnsley run was quicker! 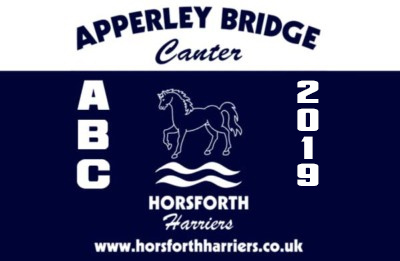 The first race for the Harriers that stands out in my memory was the Yorkshire Vets race from Esholt in February 2006. 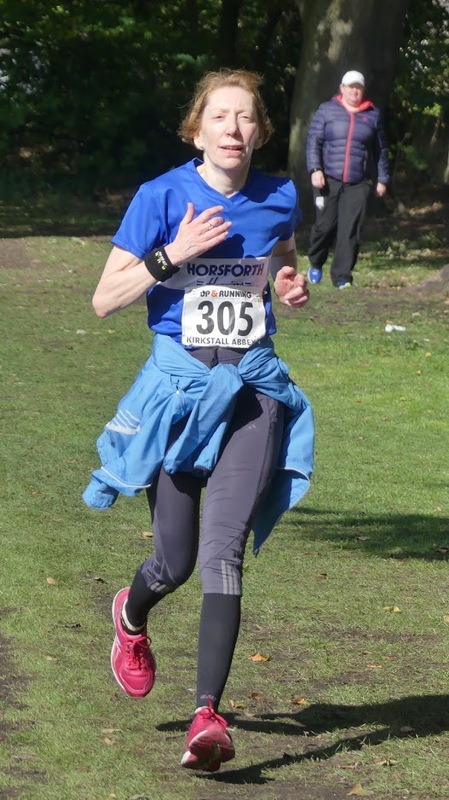 This was my first ever trail race, I never imagined when I joined the club that I would be running as part of a Horsforth Harriers team. That is the beauty of the ‘All To Count’ category in the Vets, it doesn’t matter how fast you are or where you finish, you will score points for the club. I was also amazed at how many older runners there were. As you have to wear your age category on your back, you can’t hide your age. I remember thinking to myself how fantastic they looked for their ages, there must be something good in this running lark, I want some of that. I just managed to beat an M75 runner on the line, and scored 13 points for the club. I was very proud of myself. What’s your favourite race, and why? Askern 10k is my favourite race. I know the area well as I grew up living in a village 3 miles away. It just suits me down to the ground. I like low key road races, with a small number of runners, that go through nice countryside, and that are not flat. 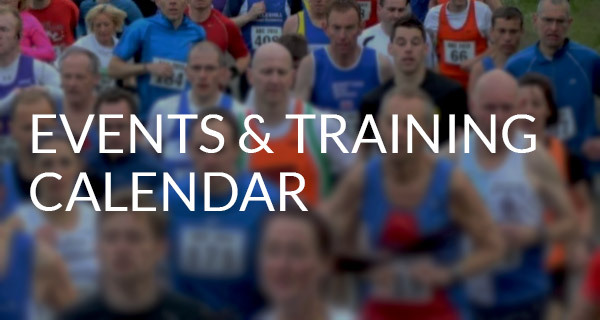 Askern 10k has a limit of 600 runners, but rarely sells out. The majority of the race is on quiet country lanes. There is a lovely long hill just after half way, which for anyone used to running in Horsforth, will present no problems. The corresponding long downhill has a gradient that you can just let yourself go with no fear of getting out of control. In addition, it is an evening race in the middle of May, so the weather is more often than not perfect for running. I really enjoy it, and always seem to run well there. 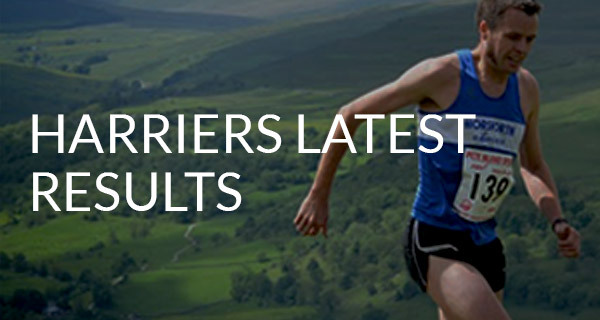 What is your most memorable experience as a Horsforth Harrier? Just taking the time to think about that question has brought back so many lovely memories. 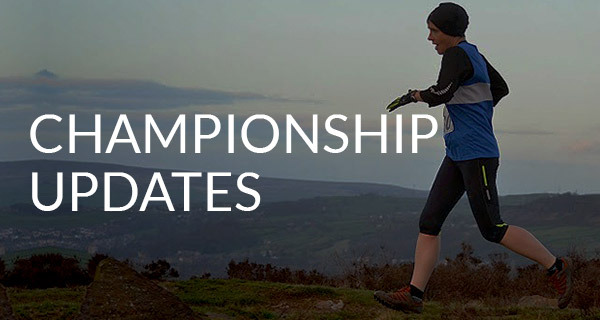 I think finishing Leg 4 (Silsden to Ilkley) of the Bradford Millennium Way Relay in 2015 with Serena Blackburn. For anyone who does not know the format of this race, the BMW Relay is split into 5 legs. Clubs enter teams of 10 runners, split into 5 pairs. Each pair runs a leg, and their time is recorded when the second runner finishes. Serena was a great partner. As the faster runner, she went ahead to open all gates so that I could just carry on at my pace. When we ran together, I set the pace so I did not feel I was holding us up. It was tough, but we made sure we had enough breath to talk about all sorts of things when we got to easier sections. Serena could not have been more supportive, and was great company. She brought the best out of me. As we approached the last 100 metres, we ran hand in hand as fast as my legs could carry me, proud that we had done the very best we could. Tea and cakes at Betty’s afterwards were wonderful, although we could hardly walk back to the car afterwards. Do you have any favourite motivational running quotes or things that inspire you? Part of a wonderful running community that has provided me with support, encouragement, enjoyment, fitness, fresh air, and so many friends. At the Finish of the Guy Fawkes 10 2018. The last race I ran before I broke my arm. I had a great run.